NAIROBI, Jan 24 2019 (IPS) - It’s estimated that 70% of the Earth’s surface is covered by water. Unfortunately, our water resources are under serious threats attributable to uncontrolled human activities that are severely impacting livelihoods and the ecosystem. For instance, every year, more than 8 million tons of plastic end up in the ocean, a large percentage of it having been washed into the oceans through rivers as a result of poor waste management and dumping upstream. Against this backdrop, in late November 2018, Kenya together with Canada and Japan hosted 18,000 delegates from 184 countries, including several Heads of state, top government officials, the private sector, civil society, academia, scientists and private citizens in Nairobi. Under the auspice of the Sustainable Blue Economy Conference, the three-day gathering pursued conversations on productivity and protection of the blue economy; with a call to rethink utilisation and promotion of water resources, as a base for new economies (fisheries, tourism, aquaculture, maritime transportation and renewable energy) to advance socio-economic development and environmental sustainability. Being the first international gathering of its kind – that looked at all water resources – the outcomes of the conference are expected to act as a launching pad that will progressively stimulate global discourses and influence how countries make the Blue Economy more advantageous for all. Therefore in line with this vision, the conference created a unique space for the exploration of ideas that will responsibly spur sustainable economic growth and build resilient communities. Although the potential of the blue economy is evident, barriers that hinder communities from benefitting to the maximum need to be addressed. "The blue economy can only succeed if it guarantees that the needs of communities are put into consideration and safeguarded now and in the future"
As we move forward after successful discussions that unpacked the blue economy as a viable economic driver, it’s now time to take stock and pragmatically create a shift that will convert theorised concepts into tangible and result oriented actions. First, to address the declining access and quality of water, formulation of adequate environmental governance policies must be put in place; to help tackle issues of climate change and uncontrolled human activities. Specifically, countries need prioritise investing in solutions that involve communities to address encroachment of riparian lands, destruction of water towers, pollution, poor management of waste and disposal which continue to choke our dwindling resources and the ecosystem. Second, for the blue economy to be more lucrative and beneficial for all, strategic partnerships that will lay essential foundations need to be established to facilitate inclusive and accountable implementation of ideas. Governments, environmental institutions, the private sector, communities and all other stakeholders need to work in concert to drive an agenda that will support innovative ideas that respond contextually to communities’ needs and ambition. Third, if the intention is to advance this sector, to significantly contribute to building communities’ resilience and lifting people out of poverty; communities must be at the heart of proposed ideas and actions. 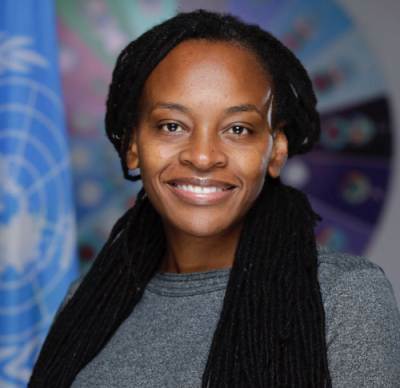 As Ahuna Eziakonwa, UNDP Regional Director for Africa emphasised, the blue economy can only succeed if it guarantees that the needs of communities are put into consideration and safeguarded now and in the future. Fourth, the decline of the water resources is alarming as it negatively impacts on communities’ wellbeing, fuels competition for the scarce resources and contributes to community conflicts. Any conceivable ideas must, therefore, reflect the vision of the 2030 agenda of sustainable development. 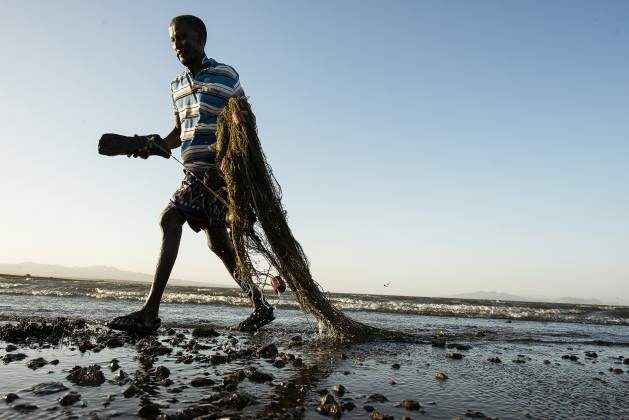 As the blue economy opens new development opportunities, all players in the sector should foster partnerships that ensure equitable access and utilisation of available resources for inclusive economic growth. Fifth, besides commitments by countries to mobilise of funds that will advance the sector, there is the need for political will intentionally promote interventions that discourage further destruction and depletion of the blue economy resources. Since communities have been custodians of water resources for centuries, advancing home-grown conservation ideas will ensure their buy-in and guarantee that no one is left behind by this new realm of economic trajectory. Further, rather than reinvent the wheel, countries need to make deliberate efforts to create opportunities to learn from each other, open access to information and data, build knowledge and capacity; as these will go a long way to deliver a stronger and inclusive water-based economy innovatively.